Clear Catheter Systems, Inc., announced today it has won the 2013 Innovations in Cardiovascular Interventions (ICI) Best Start-Up Innovation Award for its medical device, PleuraFlow®, a novel system that optimally evacuates blood and fluid after surgery to speed recovery and improve patient outcomes in the ICU during the initial critical hours after heart surgery. The honor was awarded to Dr. Edward Boyle, a surgeon, Chairman of Clear Catheter Systems and an inventor of the PleuraFlow® device, which prevents chest tube clogging to minimize the problem of Retained Blood Complications after heart surgery. 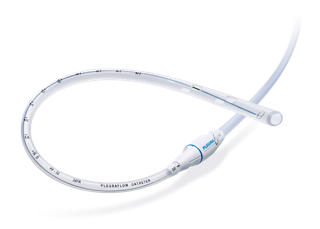 Clear Catheter Systems plans to expand use of its PleuraFlow® Active Clearance Technology® by hospitals and clinicians to improve recovery, implementing an easy to use bedside system that keeps evacuation devices optimally functioning in the post heart and thoracic surgery recovery period. The ICI brings together thousands of participants from around the world, representing the healthcare industry, governments, hospitals, venture capital funds, prominent scientists and key opinion leaders in the cardiovascular field. 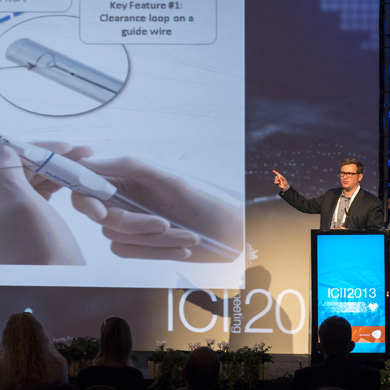 The ICI Innovation Award is the world’s most prestigious award for cardiovascular start-ups. Finalists were selected in a rigorous peer reviewed process by a panel of judges. “We are honored to be recognized by such an important forum of leading cardiovascular experts. Retained Blood Complications impact outcomes and cost hospitals millions of dollars annually. The judges clearly recognized the need for better technology to improve patient care post operatively. 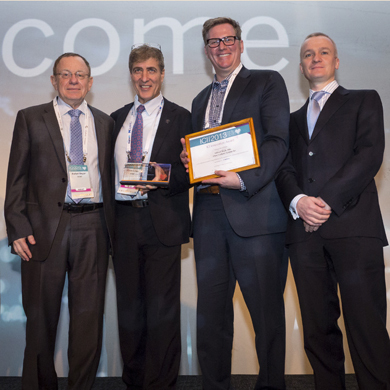 We are proud of the work we do and of the ICI Innovation Award,” said Paul Molloy, Chief Executive Officer of Clear Catheter Systems.